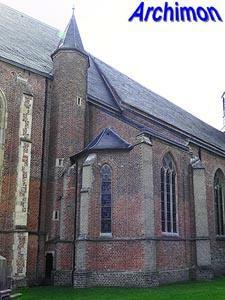 The reformed Old Calixtus, named thus to to distinguish it from the catholic 'new' St. Calixtus, is a late-Gothic pseudo-basilica from the 15th century, but with a history much older than that. 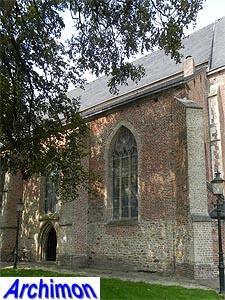 A first church was probably built already in the late-8th century. 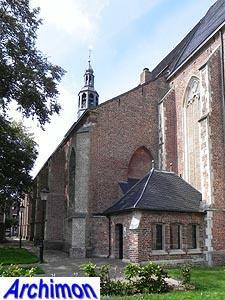 This was probably a wooden church and replaced a pagan sanctuary. 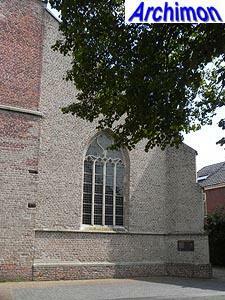 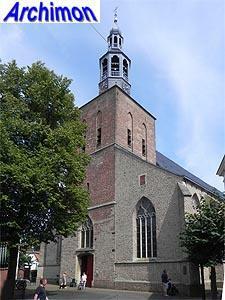 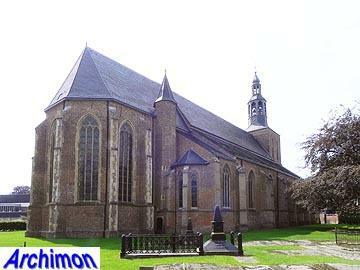 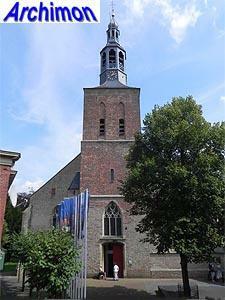 When in 1016 the church of Groenlo was appointed the main church of the region a stone church was built. 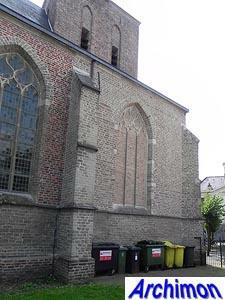 This church was replaced after 1234. 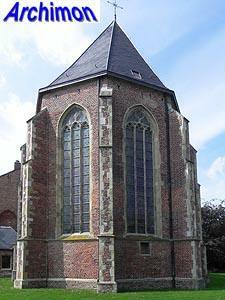 A tower, which still exists, was added inthe second half of the 14th century, partly built out of tuff. 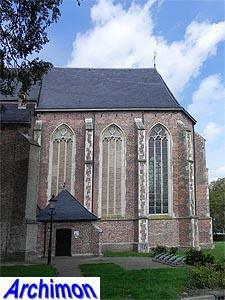 The church itself was rebuilt in the late-15th century into a three-aisled pseudo-basilica in Gothic style. 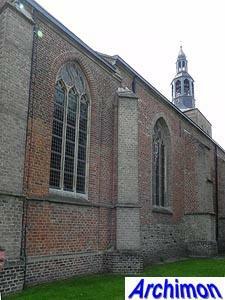 First the choir and the lateral chapel on its northern side were built, while the nave and side-aisles were built between 1490 and 1520. 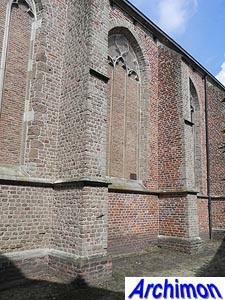 Although the church was mostly built out of bricks, the exterior of the side-aisles were clad with tuff, except for the eastern parts of the side-aisles which contain irregular bits of natural stone. 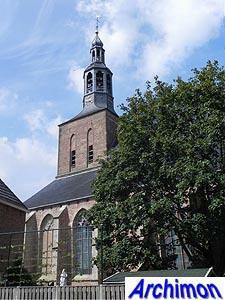 When Groenlo was conquered by the protestants in 1627, the catholics lost their church to the new ruling class. 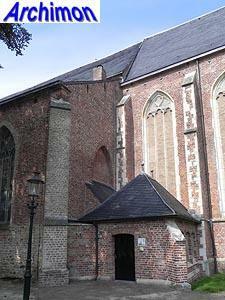 The church survived without many changes until in 1836 the spire burnt down and was replaced by the current lantern afterwards. 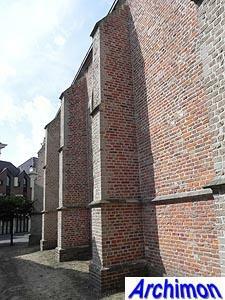 Later that century the outer walls were covered with plaster to conceal the bad state of the stones. 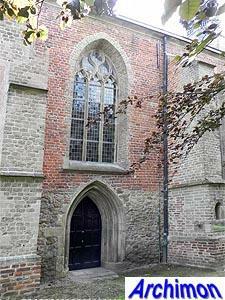 By the 1930's the situation had worsened as pieces of falling plaster took off bits of stone, and a restoration was planned but stalled. 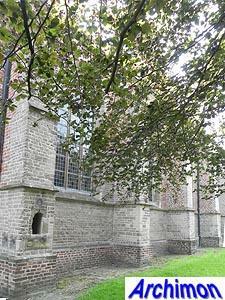 In 1945 an aircraft bomb hit the southern side-aisle and also destroyed the western trave of the central aisle. 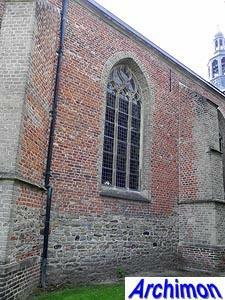 In 1946 the much needed restoration began, which was finally completed in 1954. 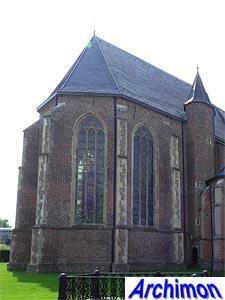 In 1963 a new restoration began, resulting in a completely plastered interior. 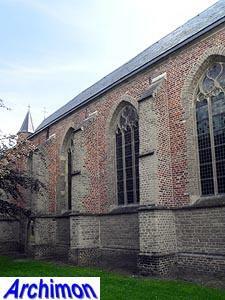 Currently, the nave serves a mostly cultural purpose, while only the choir is still used as a church.